Double standards. Double standards everywhere. Translators don’t mind making their colleagues wait months before paying them, but they have a problem waiting to get paid. Translators who say they respect their highly professional colleagues, pretending they learned a lesson or 2 from their experience. But when it’s time for them to walk in their colleagues’ shoes, they show their true colors. If you mean business, you need to be really professional. I firmly believe, after a decade in this business, that many colleagues of mine unfortunately lack the professionalism, and I say this with utmost regret. You go to a supermarket, would you be able to take any item and leave and then come back later to pay? So why would you want to receive your translation and pay later? Especially that you are not asked to pay the entire amount beforehand. This is why it is called a down payment. This is how mutual trust is earned. You can’t expect the translator/language service provider to offer you services and then make them wait to get paid. Would that work out with translation agencies/companies? Hell no. they don’t do business like that. So professional freelancers with established businesses shouldn’t have to, either. Why would anyone think of looking down on them as such? To my fellow freelancers, try to walk in each other’s shoes. This business is becoming dirty, with tens of thousands of new graduates every year. Have some professionalism and believe in paying down payments. It really pays off! You will stand out, and your business will only flourish. I have so much to say in this regard but I am afraid I will end up with a very, very long post. This rant comes in the light of a recent situation I was put in. I learned my lesson the hard way, and if I was to do business with a new client/colleague, a down payment has to be made. 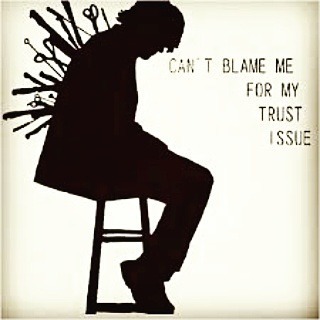 Until mutual trust is established, why should I be the one putting in all the trust firsthand? Just leave your emotions behind and ponder on this idea rationally. I am sure you will all agree with me. Oh and no need to feel targeted; or wait, maybe you do. Truth doesn’t tickle. It hurts. It’s a slap right across your face, so wake the hell up already! Now to end this post on a positive note, I wish all my colleagues the very best of luck in all their endeavors! And remember, don’t do unto others, what you wouldn’t want done unto you.